Live Nation Global Touring announced today that Paul Simon & Sting, two of music’s most renowned and enduring artists, will embark on a concert tour throughout North America in February and March 2014. Both of these artists have explored world rhythms and pushed the boundaries of popular music, and through their music, continue to speak to generations of fans. 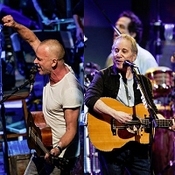 Now, Paul Simon & Sting will perform a series of concerts On Stage Together. Tickets (itinerary below) will go on sale beginning Tuesday, November 12. 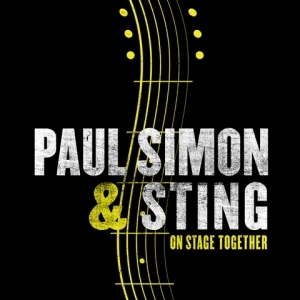 Tickets for Paul Simon & Sting: On Stage Together will go on sale to the general public beginning Tuesday, November 12. The artists’ fans will have access to a pre-sale through their respective official websites, starting Wednesday, November 6 at 10AM local time. American Express® Card Members will have an opportunity to purchase tickets before the general public. Choose between three VIP packages to create the ultimate "On Stage Together" experience! Packages include Front Row Seats, Pre-show Hospitality, Exclusive Merchandise and more! 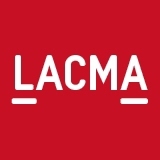 For details, visit http://bit.ly/1cNAJOG.